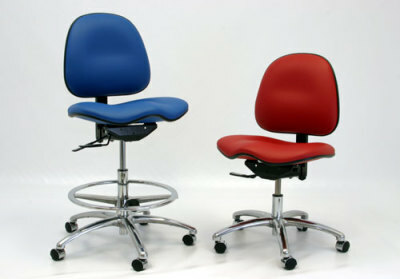 A common problem for chair users in the cleanroom is sliding out of chairs due to slick cleanroom apparel. 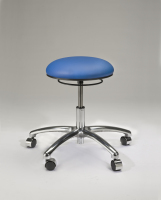 The Stamina C7000 Series offers the uniquely shaped saddle seat that gives cleanroom users stability in their seating. 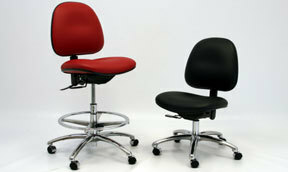 Additionally, the C7000 Series retains all of the ergonomic functions and comforts of the Stamina 7000 Series. We have added depth filtration ventilation to the necessary vinyl upholstery to ensure particulate levels meet the Class 100 standards. 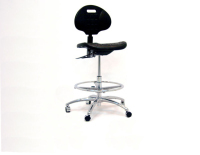 If your application requires added stability from the saddle seat, consider the clean and comfortable Stamina C7000 for your cleanroom environment. 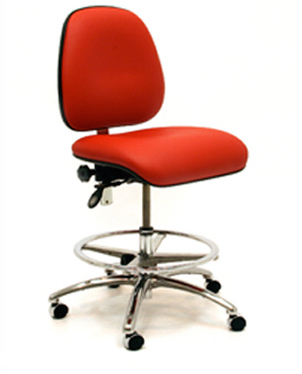 Back Angle: independently adjusted with the left rear lever. Can be locked in any position.